Image: 2010. Note that Morales greets his Indigenous sisters and brothers freely, without need of intense security /body guards. 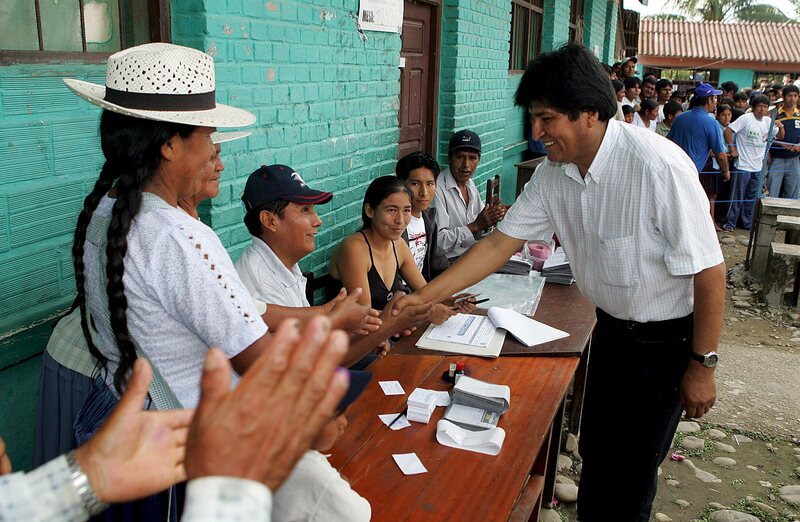 From the indigenous peoples of Abya Yala, and from all those of us who feel part of the historic changes that the region is going through, we express our unconditional support for President Evo Morales Ayma, as well as our commitment to the defense and advancement of the Cultural and Democratic Revolution in Bolivia. Masi, Mashi, Ir?, Comrade, we support you!